Fearless Sagittarius loves to take on new challenges in unknown territories. You have a tendency to leap blindly so it would be wise to plan your year ahead to avoid missteps.Where should you aim your arrow? 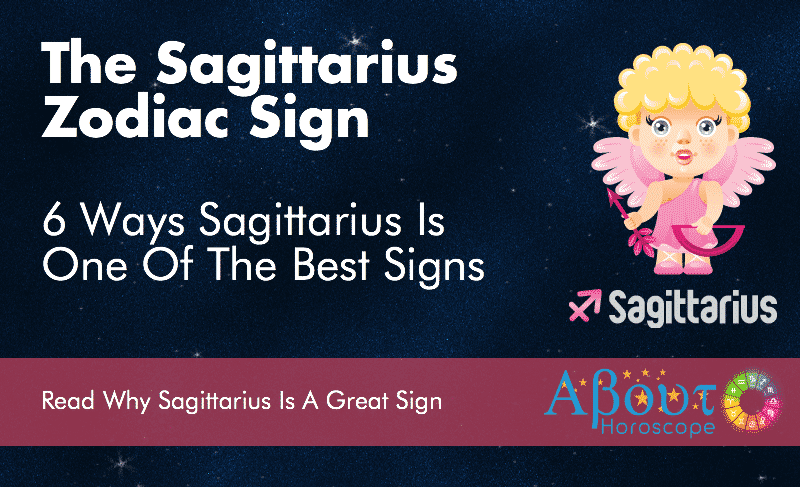 Let Sagittarius Horoscope 2017 help you hit your target and achieve your goals. Sagittarius Horoscope Predictions shows that your planetary ruler, Jupiter will bring you good fortune in 2017. You will have a lucky streak in your career and business due to the positive influence of Jupiter on your charts. Sagittarians possess a different level of optimism and confidence. They see possibilities when others see hindrances. However, Archers have the tendency to aim so high that it’s almost impossible to hit the target.You just have to be realistic when you set your goals so you won’t be misguided by your optimism.Aim for the bullseye Archers! According to Sagittarius Love Horoscope 2017 ongoing relationships and marriages will be pretty stable with glitches along the way. Sagittarians will encounter confusion during the first half of the year. If nothing is wrong with your relationship, do not get swayed by others who fall for your endearing qualities. Resolve to be faithful to your partners in 2017. This period will pass and you will thank the heavens for holding on to your partner or spouse. When your head clears, romance and affection will take over. For single Sagittarians, chances are high that you will meet your match in 2017. Find time to mingle despite your hectic work schedule. Keep in mind that your best matches are Aries, Gemini, Cancer and Leo. Sagittarius Career Forecast shows that lady luck will be on your side in 2017. Career and business opportunities will come your way. Relax and do not get too excited now. You have the tendency to cast your energies way out there because of your strong belief that nothing is impossible for you to reach. Scattered ideas will eventually cause your plans to slip through the cracks. While there’s nothing wrong with being optimistic, the problem lies in your execution and follow- through. Get a hold of yourself, organize your thoughts and complete your tasks as planned. For Sagittarians who are still in school, prep up for a hectic but rewarding year. Those who are working will find themselves going back to school to hone their skills. You never tire of learning new things so do what it takes to quench your thirst for knowledge. Those who are taking up courses in medicine, philosophy, law and Information Technology will continue to excel. Start the year right by getting into a fitness program. Resolve to be healthier in 2017 by switching to a healthier lifestyle. Your planetary ruler Jupiter is the planet of expansion and it can influence you to gain unwanted pounds. Take note: Your eyes, hips and thighs are the vulnerable parts of your body. Sagittarius Health Forecast states that you may push yourself to the brink of exhaustion in 2017. Pay attention to what your body tells you. Step on the brakes, relax and recharge. Find time to do things that will help you relieve stress and reconnect with your inner self. Engage in outdoor activities like trekking and beach combing. Financial Outlook for Sagittarius is good in 2017. For entrepreneurs, a profitable year is seen so do take advantage of this opportunity. Sagittarians are great in conceptualizing startups but not always good at following through. The success of your business plans will rely on your dedication to carry it out through completion. Do not stop midway! Good fortune is on your side so it’s time for you to level up and make a mark in the business world. Employed Sagittarians will have a steady stream of income this year. Resolve to spend wisely Archers. Being a spend thrift will not secure your future. Use your earnings to save and invest this time around. Settle debts and try your best to avoid purchasing on credit. Seek financial advice from others to avoid mistakes you have committed in the past. Avoid speculative games. You do like to engage in risky ventures but keep in mind that you cannot entrust your future to luck alone. January – 2017 takes off well for the Archers. Put your plans into action. Show management that you are capable of finishing what you start. Money luck is good and you may receive a raise or unexpected bonus. Do not spend it all in the mall. Go straight to the bank and save your cash. Single Sagittarians will have to be more assertive when it comes to love. February–Be tactful. Your words may come on too strong causing rifts in your relationships at home and work. Although your honesty is commendable, there is always the right way to convey your thoughts and feelings. Money luck will still be good this month. Keep tabs on your expenses. Better to save than splurge. March–It will be a busy work month. Your steely determination and enthusiasm will help you overcome challenges this March. Higher ups will monitor you and keep track of your progress. Be a team player. Learn to accept constructive criticisms and be more open to seek advice if you need help. April–Your social life will be active this month. Friends will set you up on dates. Attached Sagittarians must avoid being too critical of their partners. If you have nothing nice to say, don’t say anything at all. Cherish your time with your partner or spouse. Do not spoil the fun with hurtful words. May – Conflicts may arise at work. Try to be more flexible. Remember that your way may not be best all the time. Listen to what others have to say. Put off major financial decisions for now. Find ways to relieve stress. Get into a new exercise routine or squeeze in short breaks to mentally recharge. Leave your desk to get some fresh air. June–You will have to find time to resolve relationship issues at home and at work. Combine diplomacy with honesty to straighten things out. Think before you speak. Sagittarius monthly horoscope 2017 shows that you may receive a small windfall this month. Spend your earnings wisely because unexpected expenses may come up next month. July–Pace at work continues to pick up. Progress and advancement will be imminent. Just don’t be too pushy. It will all fall into place at the right time. Your leadership skills will be tested this month. Shelve your tendency to be a know-it-all because that attitude will only backfire. Schedule a short vacation midmonth so you can recharge for busier months ahead. August–Sagittarians will have reasons to celebrate this month. Your efforts will be duly recognized and rewarded at work. Entrepreneurs will receive new business opportunities and joint venture offers. Study your options well before saying yes. At the love front, a new romance welcomes single Archers. You’ll meet someone as adventurous as you are. September– It’s your time to shine Archer. You will be entrusted with more responsibilities at work. Do your best to meet expectations. Business expansion is also seen this month. Dream big because the stars favor you this month! Do not neglect your health. Stay fit, do not skip meals, eat and drink in moderation. A salary increase, bonus or cash gift from a relative will fill your wallets. October–Remind yourself to accomplish one task at a time. Do not bite off more than you can chew. Attempting to do it all will only result to delays or failure. Stay focused. Money luck is good this month. Investing in new business ventures will yield positive gains. November – Your advancement at work or business will trigger jealousy in others. Surround yourself with people you can trust. Be cordial even with difficult people. Stay positive! As work pace slows down towards end of the month, take a break and unwind. Skip social invitations for now and opt to spend time alone. December–There will be an increase in your income. Restrain your urge to splurge. Use the money to pay off loans and save more of it in the bank. Sagittarians will truly end the year with a bang. Spend time to reflect on your accomplishments and lessons learned in 2017. Resolve to do even better in 2018. Opportunities abound in 2017. Your innate optimism and enthusiasm will take you far. However, you must resolve to stick to your plans and adopt a more disciplined approach in order to achieve success. Do not rely on luck alone to carry you through. Sagittarians are enthusiastic innovative planners. Capitalize on your strengths so you’ll be able to take advantage of the good fortune that Jupiter brings to your charts in 2017. Seek harmonious relationships in all areas of your life. Resolve to tone done your outspokenness. Go ahead Archer, aim for the bullseye in life, career and love!